The best lighting designs artistically play with the space and architecture around them. And modern suspension lighting happens to be a master at this formidable task. Typically designed to illuminate a broader area than a single pendant can, suspension fixtures always make a statement. 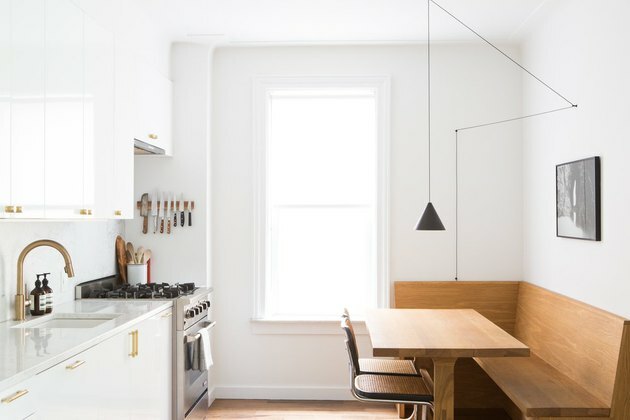 Casting a multi-directional or ambient glow rather than strictly task-oriented light makes these fixtures an ideal choice — not to mention, they look pretty darn cool, too. 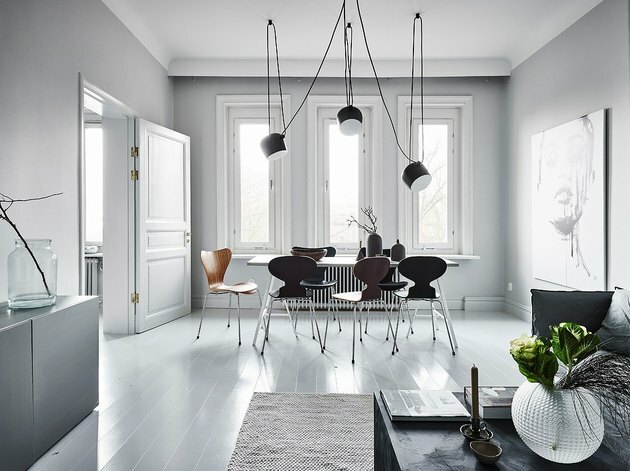 From making an impactful statement to creating a luminous work of art, here are 12 reasons why modern suspension lighting tends to make jaws drop. Suspension lighting presents a unique opportunity to make your home truly one-of-a-kind. This ultra-chic, floor-to-ceiling lamp by Flos allows you to adjust the height and direction of the light based on your needs at any given time. 2. Evoke an ethereal sense of movement. The dramatic wave-like shape of this stunner is the embodiment of motion — both visually and literally. Designed to sway gently, this suspension light entices the senses by casting interesting shadows as the light plays off of the sculptural wire frame. 3. Be both playful and sophisticated. 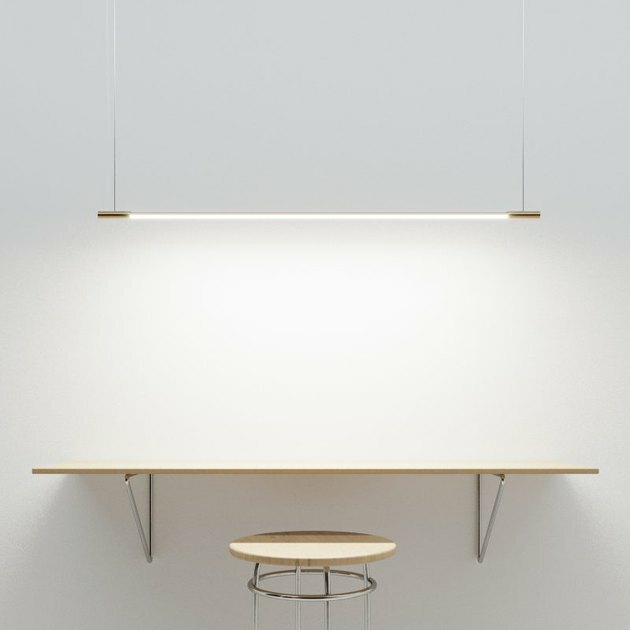 Lighting designer Michael Anastassiades is known for creating minimal, utilitarian fixtures that are supremely artistic. 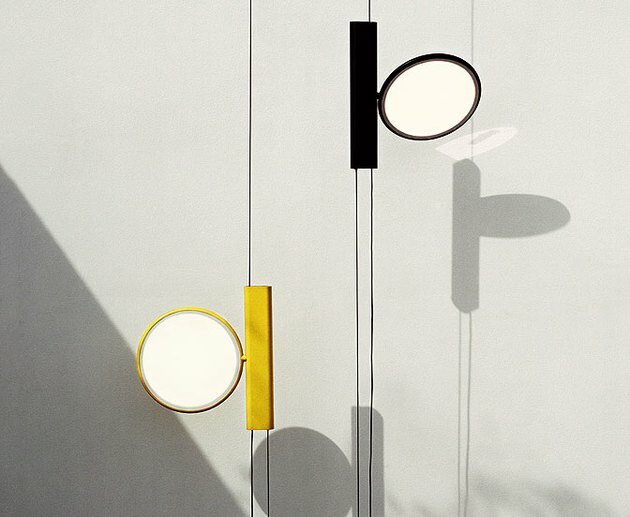 And these Round String Lights that he designed for Flos are a beautifully modern example. 4. Elevate even the most utilitarian spaces. Similar to the intersections on a map, this Lambert & Fils fixture takes the lighting game to new heights. The industrial-chic combo of milk glass bulbs and brass hardware paired with a striking black frame are enough to stop even the busiest foot traffic. 5. Turn the ordinary into extraordinary. 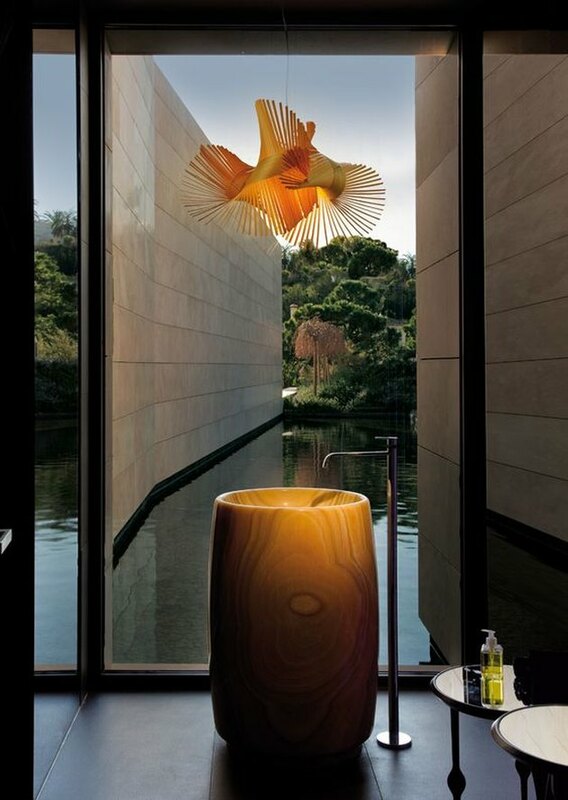 The epitome of modern elegance, this sculptural suspension light adds a dynamic sense of drama to a stunning bathroom. 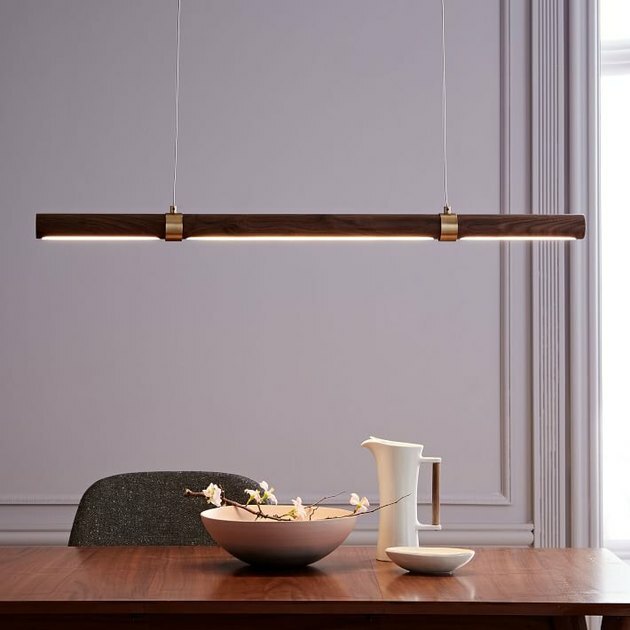 The suspended strips of wood veneer cast ambient light filled with intriguing shadows, while providing direct down light where you need it most. 6. Appeal to the minimalist in all of us. Suspended over a dining room table or a kitchen island, this elegant West Elm light fixture is luminous perfection. 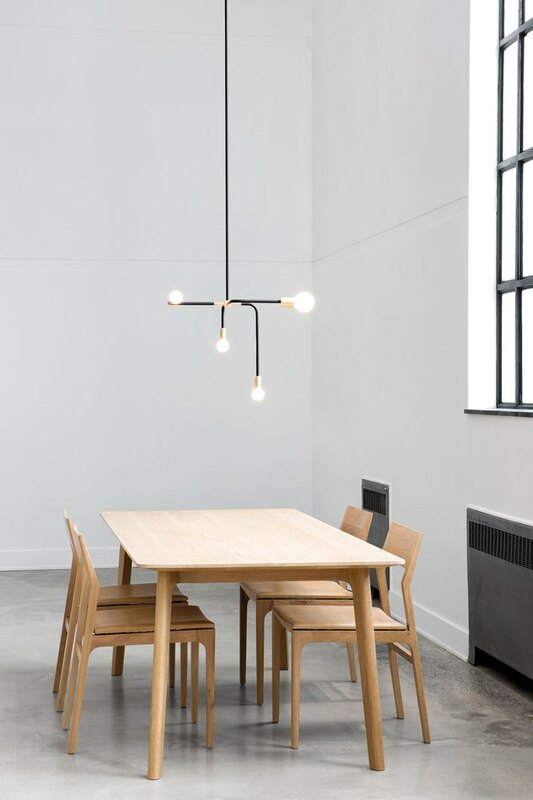 The clean lines and simplicity of its linear frame make this suspension light a minimalist's dream. We just can't get enough of this industrial beauty. Stripped down to the bare necessities, this cluster of exposed bulbs presents a unique opportunity to have a little fun and get creative. Not only can you choose from a variety of bulbs, hardware finishes, and cord colors, but you can also customize the cord lengths so you can swoop, drape, and suspend the bulbs any which way you please. 8. The suspension system itself can be a work of art. Awarded "Best of Year" in 2013 by Interior Design this innovative suspended light system is a creative wonder. Reminiscent of puppets hanging from their strings, this fixture was designed to celebrate the barest essence of modern lighting. 9. Simple elegance never goes out of style. The timeless appeal of Ferm Living's socket pendant is undeniable. 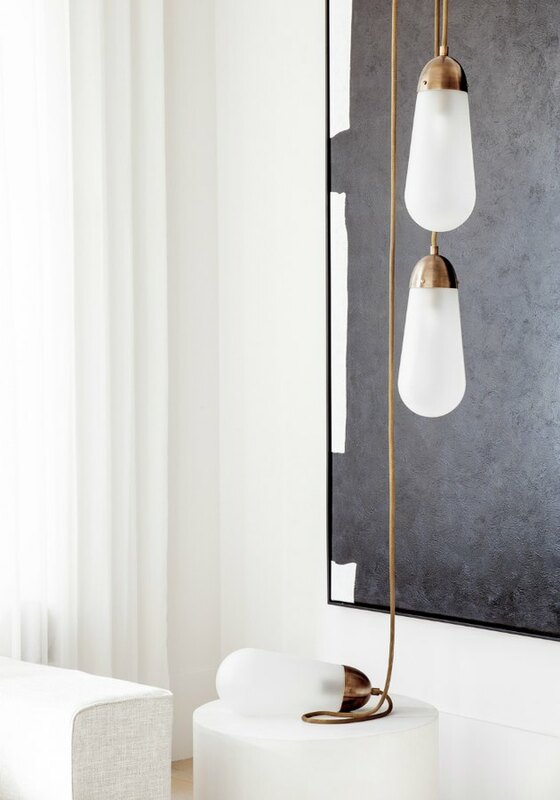 The minimalist brand continues their tradition of highlighting the beauty found in simplicity by pairing a sleek brass socket with a spherical opal shade. Suspended by a light-gray fabric cord, this luminous orb seemingly floats in mid air. 10. Make an impactful design statement. 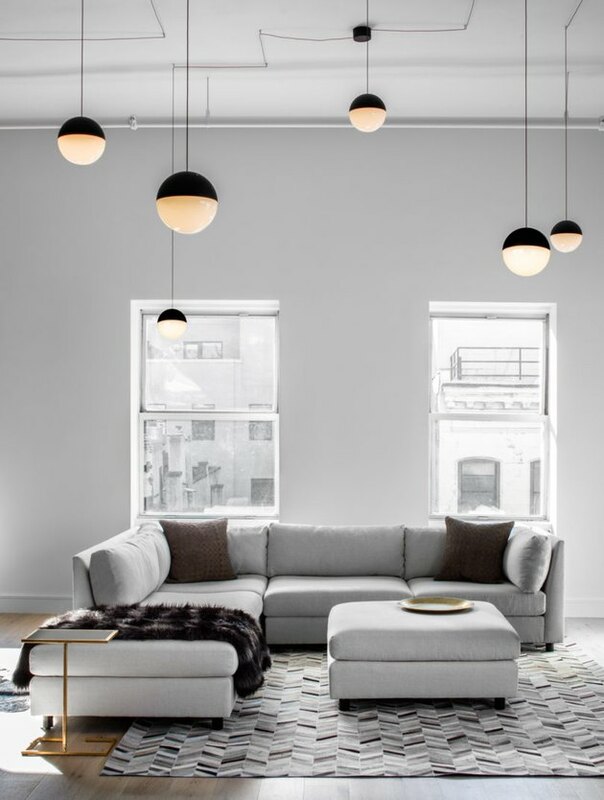 This suspension light fixture by Flos is gorgeous proof that lighting has the power to completely transform a room. 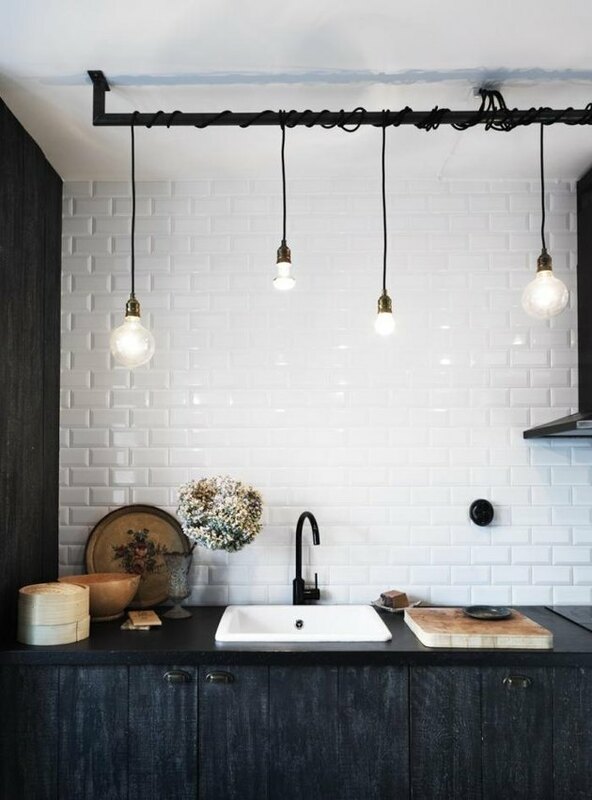 In a visual display of acrobatics, this matte-black, conical string pendant takes this tiny kitchen from drab to fab. 11. Suspension lighting can be awe-inspiring. Like the delicate sparkle of a new necklace, these stunning teardrop-shaped orbs from Apparatus Studio stand out from the crowd. Luminous and lovely, these etched-glass gems hung from woven brass mesh will make anyone stop and stare to admire their lustrous beauty. 12. Seemingly free-floating forms are all kinds of dreamy. The ultra-thin silhouette of this Juniper Design light fixture appears to defy the laws of gravity. 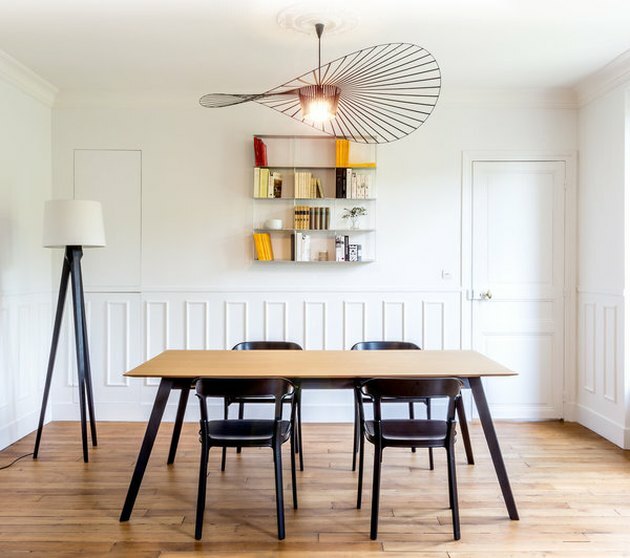 Perfect over a long dining table, this modern and minimal rod practically floats as it radiates light in any direction of your choosing. Carrie is a writer who finds inspiration in the beauty and humanity of the spaces and places people call home, and...other stuff.